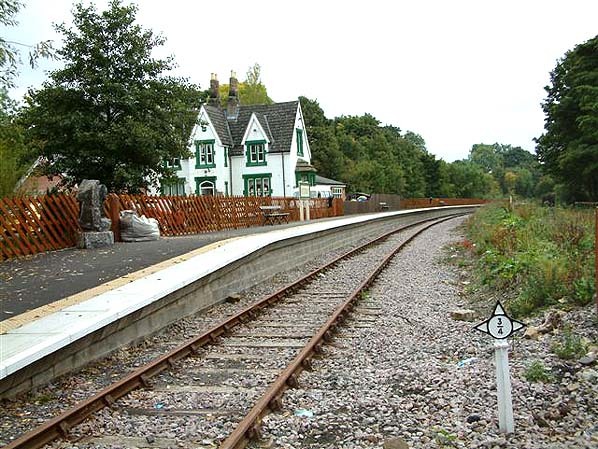 Present state: The station building is a private house and is fenced off from the platform which has been rebuilt and restored as part of the Weardale Railway Project. 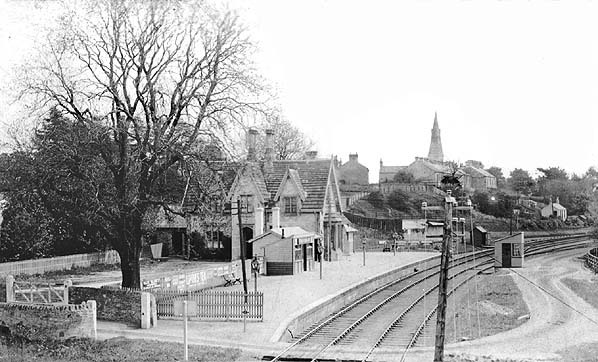 Notes: Frosterley was the original terminus of the railway, which opened from Witton Junction on 8th August 1847 along with a branch into the nearby Bishopley quarry complex. 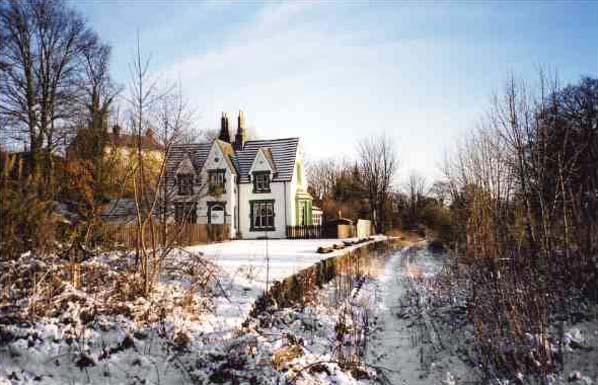 It is thought that in the early 1850s a wooden engine shed was erected here to be eventually moved to Stanhope when the line was extended in 1862. It is unclear as to whether it was this timber building or a replacement stone building that was transferred. 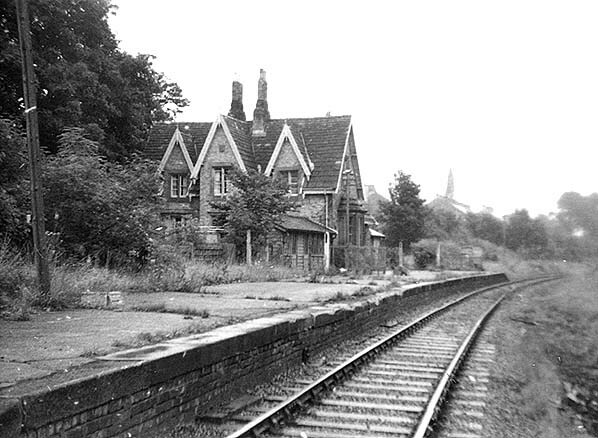 The goods facility was withdrawn on 3rd March 1969. A plan to penetrate Weardale proper was covered by the Wear Valley Act of July 1845, which was to provide a line from Witton Junction (Wear Valley Junction) on the Bishop Auckland & Weardale Railway to Frosterley, with a connecting branch to Bishopley, this opened on 3rd August 1847.
existing station at Stanhope and therefore a new one had to be built. Between Eastgate and Westgate at Cambo Keels, sidings were established to serve the Weardale Iron Company's Heights limestone quarry. Khis quarry is still operational today.